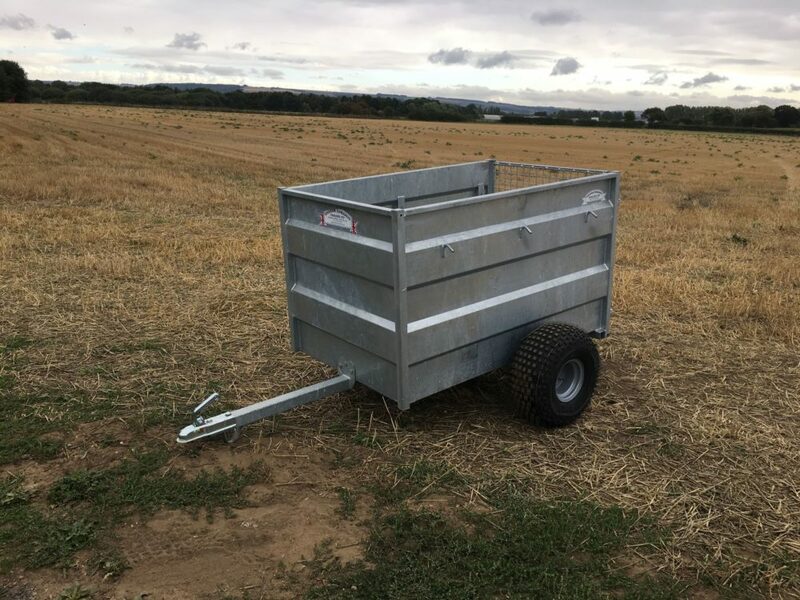 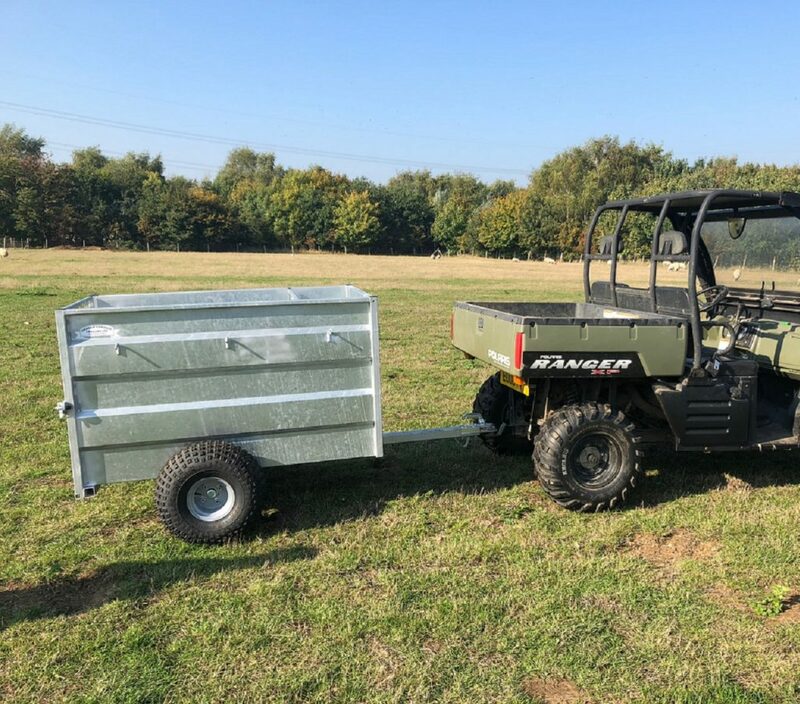 These 3ft ATV trailers are built for use in rough ground or soft ground situations such a farmland, woodlands and general off-road application. 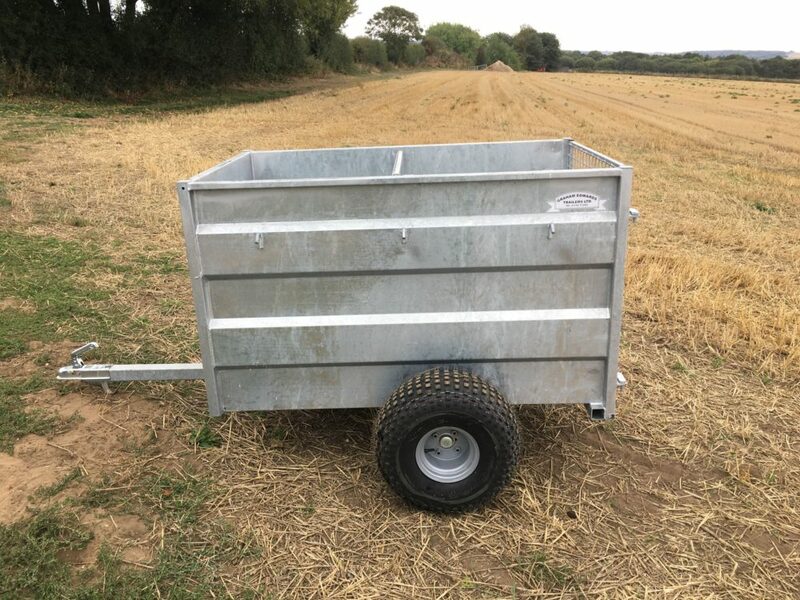 The 3ft ATV trailers feature a strong monocoque design, galvanized body and a treated timber floor. 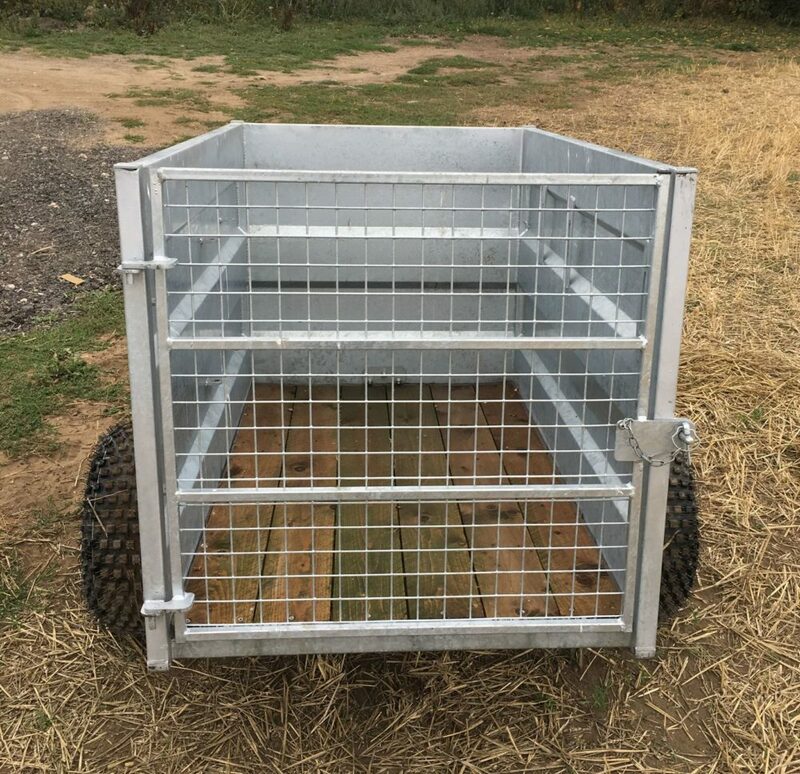 Every 3ft ATV trailers trailer has an heavy duty branded coupling and they all feature low ground pressure wheels (22/11.00 x 8). Choose the tandem axle version for even greater load carrying capacity over soft or rough ground. 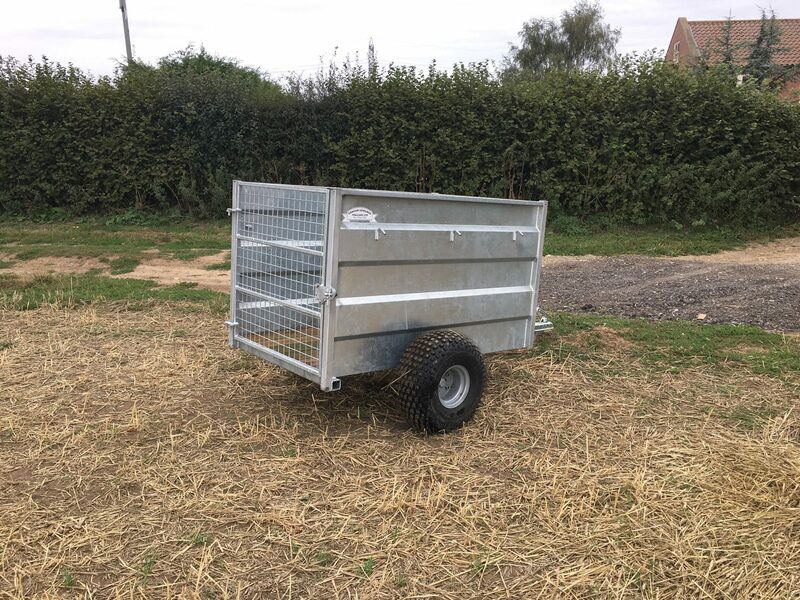 All our ATV Trailers are made with rigid sides using 2mm steel plate, folded to add more strength, then welded together before galvanizing to form an extremely robust monocoque shell.